1. Think about who will hear your bell tones. What are the needs of your staff and students? Would a soft or familiar bell tone help younger students get acquainted with school bells? 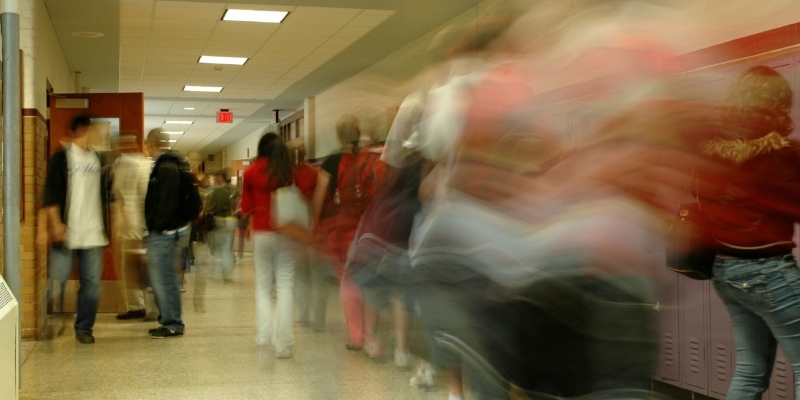 Do your students and staff need to be able to hear bells in a large, busy school? 2. Decide what you’d like your bell tones to communicate. Would you like to have different tones communicate different things? (e.g. - one announces class period start, one announces class period end) Would you like to play passing music? Will scheduled announcements be part of your bell schedule? 3. Consider where you would like your bell tones to reach. Perhaps you’d like to have separate bells for different floors, or if you have a blended campus, you’d like to have separate bells for the elementary school classrooms and the middle school classrooms. 4. Schedule when you would like your bells to sound. After you have thought through the first three items, it’s time to create your bell schedule. When you choose to have your bells sound depends on the personal needs of your school or district. Perhaps you want to have a bell to announce the beginning and end of each class period. Maybe you’d like to have a five-minute warning bell. Think about what type of schedule would work best for your staff and students. 5. Plan for unexpected changes. Come up with a plan for how you will change your bell schedules for early release, inclement weather, teacher in-service...anything that will disrupt the normal flow of the day. Hopefully, these steps will give you a guideline for creating your bell schedule for the upcoming school year. If you use the InformaCast bell scheduler, a free video tutorial on how to set it up and configure it is available through the Singlewire Academy.